It goes without saying that Thanksgiving is the ultimate American, loca-vore feast, so why would you shop for locally farmed produce and turkeys, while buying a wine from overseas or the West Coast? Especially now, and especially in the East (where Thanksgiving began), there are so many good local choices, and I don’t even mean just wine; now we also have cider, other fruit wines, and mead (note: this is Virginia Cider Week). Here are a few tips while you’re picking out your wines, assuming you’re doing a traditional-style dinner. And even if you’re not, follow my wine guidelines which will go with Mexican, Asian and other alternative cuisines. Buy local…for your state. The whole East Coast is producing a fine range of Locavore wines. Aaronap Winery in Massachusetts even makes a stellar maple dessert wine called “Forest Gold”. Go “ABC” – Anything But Chardonnay/Cabernet (and Merlot, for that matter). Branch out and see what other grape varieties can do in a Thanksgiving setting. Replace Reds with Rosé. Only a few red grape varieties (chambourcin, gamay, leon millot, chelois, blaufrankisch/lemberger, pinot noir) have the low tannins and bright fruit with zesty acidity that will match well with the Thanksgiving fare, where rosé doesn’t have tannin and is fun and juicy but refreshing. And I don’t mean “blush” or “white” [red variety name here]. Those have no acidity and that’s what you need in any wine in a lush food setting like this one. Don’t feel obliged to serve a totally dry wine with dinner. Lots of Thanksgiving ingredients (gravy, stuffing, cranberry sauce, etc.) have elements that call out for a little sweetness as long as it’s balanced with acidity. You can serve cider, mead and apple or pear wines as long as they’re not too sweet, with Thanksgiving dinner. Blacksnake Meadery makes a “Sweet Virginia” mead that will be great with desserts. I’m serving a rosé made from apples and cranberries. It may be hard to find this impressively crisp and elegant chardonnay, made by Brad McCarthy (who also represented Tonnellerie Taransaud, a top French cooper, in which this wine was aged). This is one of the few chardonnays I’d recommend with Thanksgiving, since it is both rich and lively. Nose: surprisingly fresh and young, lemon/lime with hints custard and vanilla. Palate: round and smooth with a lively lemon curd finish, yeast and oak well integrated. Better than 95% of California chardonnays, and at least the equal of Burgundies many times the price. I presented and spoke on this wine at the recent American Wine Society 50th conference in a seminar on petit manseng. Today, a number of Virginia wineries are making this obscure but game-changing varietal in styles from dry to sweet. This is for me the benchmark of the high-end dry style. This wine was barrel fermented and stirred on the lees in 33% new French oak for 10 months. A 15% addition of Roussanne was added to balance the alcohol and acidity. Nose: complex, with aromas of roasted pineapple, with other orange tropical fruits in the background, and yeast. On the palate, bright orange fruits like kumquat and tangerine are backed up by bass notes of yeast and roasted pineapple. The texture is slightly viscous at first, round and smooth like fine pinot gris, with a bright burst of acidity which lingers in the finish. This is probably the best (most appropriate food match with complexity) white wine for traditional Thanksgiving in the state. Not as complex or pricey as the Michael Shaps petit manseng, this wine is also a blend (20% seyval blanc) and dry, with brighter, flashier aromatics and up-front palate zesty tropical fruit with vibrant acidity to match. This will hold up to any fatty gravy or stuffing etc. and give you bright fruit and acid to carry through. Finished with a screw cap to maximize freshness and bright acidity. 100% Viognier grapes estate grown, some aged in oak and some in stainless steel, blended. Nose: lively white flowers, orange tropical fruits. Palate: great balance of fruit, flowers and acidity, much more taut and lively than most Virginia viogniers. a blend of petit manseng, traminette, vidal blanc, sauvignon blanc. Nose: floral, driven by traminette. Palate: juicy, but fine firm acid, seems dry but 1.4% residual sugar. A versatile wine, will please dry drinkers for the acidity, and sweet drinkers for the residual sugar. Horton Vineyards Viognier 2015: The only white table wine to make the Governor’s Case (top twelve wines in the Governor’s Cup Wine Competition) this year, it’s refreshing to see the winery that introduced this esoteric aromatic Rhone grape to Virginia in the early 1990s, return to its fruity, forward style but with balance poise. The nose is classic viognier; honeysuckle, apricot and peach, with like flavors on the palate, and enough acidity to keep it all together. An intriguing blend of syrah, merlot, malbec and cabernet franc picked specifically for use as rosé in the Provençal style. Aromatics of red fruits and citrus are followed by pink grapefruit flavors and vibrant food-friendly acidity. 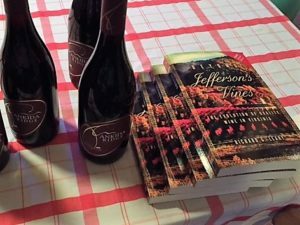 Ray Isle picked this refreshing wine as the one craft beverage to represent Virginia, in the current issue of Food & Wine where he chose a single craft beverage (sometimes spirits, sometimes beer) as the best in each of the 50 states. This is in fact the current vintage of Glen Manor’s rosé, and when I tasted it in the summer, the fresh fruit and vibrant acidity made me think it was from 2016. This is a Provençal style dry light rosé, but complex, due to half of it being fermented in neutral French oak, which also rounds out the texture. For complementing a Thanksgiving dinner, you want low tannin, cool climate grapes like pinot noir, chambourcin and other red hybrids, gamay, lemberger/blaufrankisch, plus Virginia’s original grape, norton, with its scented plum aromas and flavors and firm acidity to cut fatty foods. Grown at 1,800 ft. on a saddle between two peaks in Amherst County, this close-space, Dijon clone vineyard (pinot noir and chardonnay) is farmed biodynamically. I just finished a bottle of the 2011 and vibrant concentration of fruit and acid is a hallmark of Ankida Ridge pinot noir who have proved not only that pinot noir can be grown successfully in Virginia but that it can be world-class (they were invited to present at IPNC, the International Pinot Noir Camp held in Oregon, in 2015). Nose: still young at 3 years, there are aromas of fresh-cut hay, cherry blossom and bright red cherry. On the palate, the wine is nervy and almost electric with tight, bright red cherry flavors, complemented by vibrant acidity. It drinks like it was made last year, still very lively and with evolving flavors, but they will come right through whatever you’re eating, with the acidity leaving a refreshing finish. 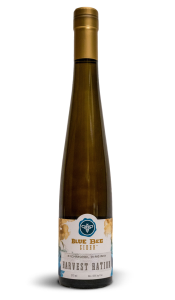 If you can source a second bottle it will last at least until 2020, likely to 2024.
a dessert wine (estate grown) made from traminette grapes, where the fermentation is stopped about mid-way through by chilling the must, in the German style leaving unfermented sweet juice. This is a great way to experience traminette; with loads of honeysuckle and rose aromas, lychee and peach flavors, all with crisp bracing acidity to keep it overwhelming your palate. a petit manseng that manages high acid and high alcohol by aging in 30-year old cognac barrels which blunts the acid, adds some nice spice hints, and gives a stylish aperitif-like dessert wine at only 2-3% residual sugar. Most of Bold Rock’s ciders are medium-dry to medium-sweet for the average American palate. If you want a brighter, crisper cider more like a dry sparkling wine, this is the driest they make (only in a 750 ml bottle, $11.00) Dropping the sweetness almost but not totally dry lets the vibrant apple flavors and dancing acidity come out more and makes the cider more refreshing. There’s a lot of complexity in this cider, which is fermented in quiviri, terra cotta vessels buried up to their necks in earth, as white wines were fermented two thousand years ago. Native yeast fermentation and an “orange wine” character being left on the skins prior to fermentation gives a dry but complex cider for people who want a cider with natural character instead of added flavors. made like a classic white port, and drinks like a high-end port with fruit, oxidation, acidity and oak in perfect harmony. Cider maker Manuel Garcia explains that this cider, made from bittersweet apples, is fortified with some of its own base that has been distilled (to 18% alc. ), with 11% residual sugar, then aged in the barrel for a year before bottling. On the nose, a lively and impressive blend of components: apples, spirit, and barrel in fine balance. On the palate, an outstandingly successful port style cider, which delivers the acidity and tannin to balance the other elements. At $33/half bottle, it’s not cheap but if you want a category leader that is both original and classic, I recommend this for a Thanksgiving dessert (if there are no more than four people.